Step 4: Click on Sign up. Step 5: Complete your details following the Google wizard. At the moment, Google is offering you the choice between Universal Analytics (beta) and Classic Analytics. From your STORE's perspective, it doesn't matter which you choose, so pick which ever best meets your needs. Under 'Setting up your account', make sure you fill in Account Name, Website Name (these are quite frequently the same if you don't have several websites), and the website URL. Click on 'Get Tracking ID" at the bottom of the page, and read, then agree, to Google's Terms and Conditions. The next page should show you some tracking code. You don't need this. All you need is the tracking ID at the top of the page, which will look something like: UA-12345678-1. You do this under Settings > Third Party Settings > Google Analytics. It will take about 24 hours for your Google Analytics account to start showing visitor activity. 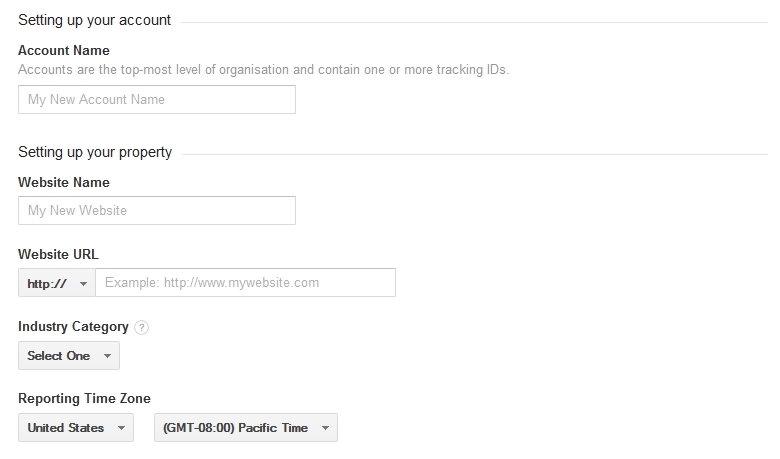 You should check back regularly to measure visitor activity on your website, including information on bounce rates (i.e. they leave your website immediately), time spent on the site, and pages they visit.